There seems to be a theme emerging in some pieces of art which are approved by Church leaders, commissioned by them and/or on church property. Last year’s nativity scene (2017) featured part of a church with broken, crumbling, destroyed walls and a mostly missing, broken cupola. It also featured a cracked painted portrait of the Blessed Virgin Mary on the crumbling side wall. 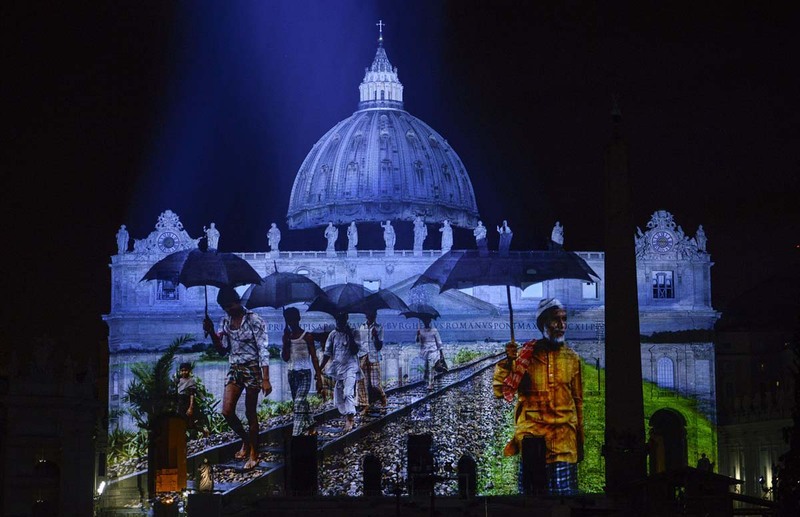 Secondly, there is the latest light show seen throughout Rome on the facade of Santa Maria Minerva, in October 2018 . It clearly features destructions and distortions which are quite disturbing! 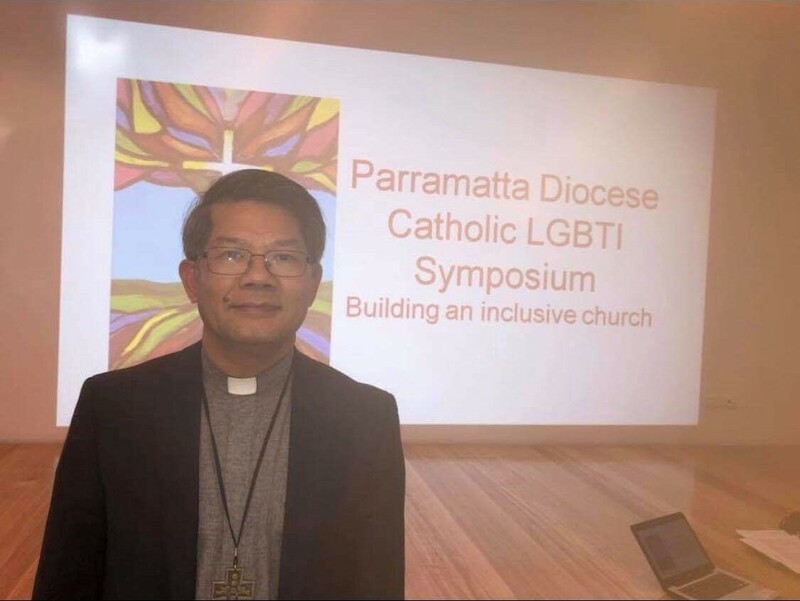 Lastly, listen to the speeches or words of some of the Vatican approved ‘on trend’ bishops: Bishop Long has said more than once that it is time for the old church to be replaced- by a new model. The separated, exalted and elitist priesthood, which is a byproduct of the ecclesiology that emphasises the perfection of the Church must be consigned to the past. This kind of priesthood has been mystified by a notion that a priest has exclusive and privileged access to the divine. This religious elevation is suspect and unreal to say the least in the light of the clerical sexual abuse crisis. In fact, such an image of a priest has become discredited and shattered. There is no going back to the self-enclosed, elevated and exalted clerical world. Your magnificent Cathedral of Christchurch, which was destroyed by the recent earthquake may or may not be rebuilt because of the extent of the damage. We can be certain that the pieces of the old exalted and elitist priesthood cannot be put back together. The myth of the mysterious, heroic, uncontaminated, unblemished “men in black” has imploded. Instead of doctoring the image and reviving the mythology and mystique of the priesthood of yesterday, we can accept that what has been destroyed is irretrievable. Perhaps the end of the old world could lead to a new era and the current crisis offers the priesthood a chance to free itself from the manacle of clericalism. The priest is not a lone and exalted figure, exclusively chosen and gifted with something which most people do not have. Rather, the priest is the presence in whom the implicit priesthood of the baptised is called to become explicit and active. In this way, we learn to discover a deeper and more holistic identity as members of the People of God and as presbyters in the sense of going in front leading people but not hermetically sealed from them. 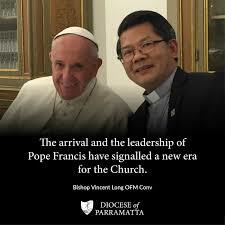 Friends of PF have described him as desiring complete and total change in the Church and as having a radical agenda which he will implement with or without the help of Synods (because after all he is also known as the ‘Dictator Pope’ by some). So when you see imagery or videos or artworks featuring destruction of the Church or sentiments or ideals or imagery/symbols connected to the Church or you see anti-Christian ideals and imagery, realise that they are bolding boasting of their new agenda and preparing you for their One World Church. They barely even hide it anymore! Remember Satan’s boast to Pope Leo XIII via a mystical vision? “I can destroy your Church.” growled the guttural voice, the voice of Satan in his pride, boasting to Our Lord. Read the detail of this vision of Pope Leo XIII because it is clear in the longer and original form of the prayer that he composed, the intricate details of what he saw regarding the Church of the future. Open your eyes to that which is hiding in plain sight.